The much anticipated $26 million upgrade to the Armadale Aquatic Centre is almost complete and the doors will open to the public on Monday 11 March. The new state-of-the-art centre has officially been named the Armadale Fitness and Aquatic Centre (AFAC). Interested users can now sign up for a discounted Foundation Membership, available for a strictly limited time only, until 9pm Monday 11 March. AFAC offers a range of memberships to suit your needs. With no lock-in contracts and membership options from as little as $12.50 per week for Fitness and $10 per week for Aquatic, join now for these great deals. Plus as a member of AFAC you can also access the Armadale Arena’s gym services. 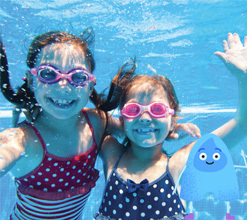 Are you ready to make a splash at Swim School? The centres instructors are all AUSTSWIM or Swim Australia accredited and offer Royal Lifesaving Society endorsed Swim School levels ranging from Aqua Babies right through to School Age and Adults. Register your interest today at active.armadale.wa.gov.au. Save the date – mark 16 March from noon to 4pm in your calendar. It’s your chance to view the Armadale Fitness and Aquatic Centre at the FREE Community Open Day! There’ll be plenty of fun and entertainment for the whole family, with live music, interactive games and activities for children and more. For more information visit the Armadale Fitness and Aquatic Centre’s website active.armadale.wa.gov.au. 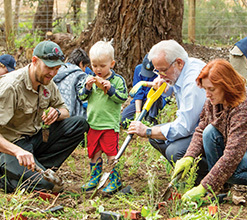 The second round of the City’s Community Grants Program for 2018/19 will open on Tuesday 5 March. Applications are welcome from not-for-profit organisations that wish to receive up to $2000 funding for projects which benefit the local community. Applications close Monday 1 April. To assist with writing grant applications and provide information on other grants that community groups and organisations can apply for, the City will also host two information sessions on Wednesday 20 and 27 February. Limited places are available and bookings are essential via Eventbrite (search Grow Your Knowledge). 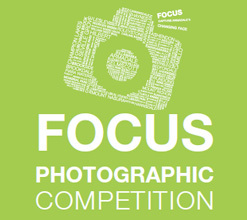 Entries for the Birtwistle Local Studies Library’s FOCUS Photographic Competition are now open. Amateur photography enthusiasts are encouraged to pick up their camera and capture history for a chance to win a share of $1400. This year’s themes are Crossing the Line, which will document our current rail crossings and Pre-1990 open theme, encouraging locals to find any pre-1990 photographs that features a part of the district, such as a park, shops or streets within the City of Armadale. For full details including Terms & Conditions and Hints & Tips visit library.armadale.wa.gov.au/focus-2019-crossing-the-line or contact the Birtwistle Local Studies Library on 9394 5641. Entries close Sunday 31 March 2019. Heartworm disease is caused by a parasitic worm called Dirofilaria immitis which can be spread through a mosquito bite. An infected dog has worms living in its blood vessels and heart. 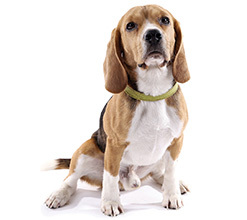 When the dog is bitten by a mosquito the blood withdrawn can contain heartworm offspring and is passed on to other dogs through mosquito bites. Remove stagnant water around the house and garden. Change pet water bowls frequently. Empty dog pools or clam shells regularly and keep an eye out for mosquito larvae or wrigglers in the water. Cover windows and doors with insect repellents. Protect your dog with a heartworm prevention program. Keep pets inside when mosquitos are about during early morning and early evening. Two local businesses have signed up to The Last Straw campaign. Bean Thru and Organic Circle café have both pledged to stop providing plastic straws to their customers. 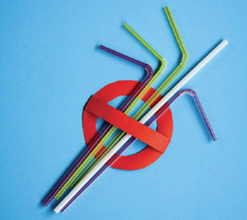 An initiative promoted by Switch your thinking, the City of Armadale’s sustainability program, is encouraging local businesses to play a role in reducing plastic waste by making straws available on request only. To find out how easy this change can be visit The Last Straw website www.laststraw.com.au or email mail@switchyourthinking.com to sign-up. 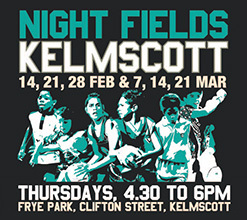 Free community sports program (football, soccer and basketball) for children and young people aged six to 18 years old, and additional activities for siblings under six. Register on arrival, parent signature required for participants under 18 years. For more information visit 9394 5000 or www.armadale.wa.gov.au/youth. For further information on these and other local events please visit the City's website or Facebook page.